Cosmetic Journey is the leading online platform for plastic and cosmetic surgery in the Asia Pacific. 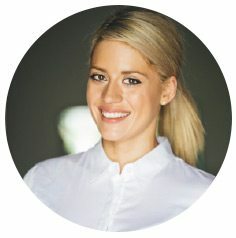 Cosmetic Journey started life as The Plastic Surgery Forum (otherwise known as PSF) and was first established in 2006 by Adelaide-born Emily Scott. It quickly grew into Australia’s largest cosmetic surgery community with over 20,000 members. We reached a point where we offer much more than a forum, and patients are using the platform to research, discuss, engage and then feedback on their own personal journey. It’s that journey that we rebranded around and PSF officially became Cosmetic Journey with a new home at cosmeticjourney.com. Like Scott, who launched the forum to seek information and advice on plastic surgery following her first-time birth to twins, Cosmetic Journey’s thriving, active community of over 10,000 subscribers is highly engaged, loyal and supportive. With users located in Australia, New Zealand and Asia, our focus is on providing a superior online experience, harnessing a well-moderated, trustworthy and informal online space for people who are considering, having or recovering from cosmetic or plastic surgery. The company is co-owned by our founder Emily Scott and Brendan Case, a private Melbourne businessman as sole directors. Cosmetic Journey is not aligned with any medical group or organisation. There is no doctor, surgeon or medical interest group with equity or ownership of Cosmetic Journey or the company which owns it, ‘Online Forums Australia Pty Ltd’. All company related enquiries should be directed to our founder emily@cosmeticjourney.com. Emily is Cosmetic Journey’s founder and is an Australian mum of 6. She founded the Plastic Surgery Forum back in 2010 from her home in Adelaide. 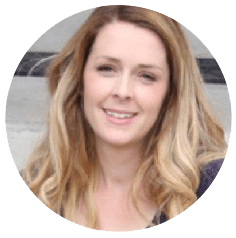 After having twins, Emily was researching abdominoplasty and found there was a real lack of online information from real patients. These days, Emily spends her time between being a mum and overseeing the strategic direction of the company. Cassie has been part of Cosmetic Journey since 2012 and is now our General Manager. After graduating with a Bachelor Arts/Law, Cassie decided to do a complete 180 and join Cosmetic Journey (PSF back then) full time. She leads the team day-to-day as well as working closely with our surgeons to help build their profiles.